An emotional family drama, Kramer vs. Kramer explores the wreckage of a broken relationship and the collateral damage on a victimized child. In addition to three memorable acting performances, the film marks a turning point in the cultural perception of a father's role in child upbringing. New York advertising executive and workaholic Ted Kramer (Dustin Hoffman) arrives home to find his wife Joanna (Meryl Streep) all packed up and saying good-bye: she is fed up with their life and is leaving him and their six year old child Billy (Justin Henry). Ted is initially shocked and is quick to accuse their neighbour and Joanna's friend Margaret (Jane Alexander) of prodding Joanna to leave him. But his most important priority is to take care of Billy: Ted has to learn the basics of physical and emotional parenting, starting from scratch. Gradually, Ted learns to become a dad, and forms a deep bond with Billy. He comes to terms with Joanna's absence and even forges a friendship with Margaret. But Ted's work performance suffers due to his conflicting parenting duties, and the worst is yet to come: 15 months after abandoning her family, Joanna returns, seeking custody of Billy. Robert Benton directed Kramer vs. Kramer and co-wrote the screenplay with Avery Corman, the book's author. Benton's loyalties and affection clearly lie with Ted's father character, and Kramer vs. Kramer helped to reorient societal perspectives on parenting duties. If a dad can be just as good a parent as a mom, why the default to granting the mother custody? And should a mother be punished forever for leaving her child to regain her sense of self-worth? The film exposes difficult questions, and the starkness of the circumstances demand that the debate be engaged. Hoffman (Best Actor), Streep (Best Supporting Actress) and Henry (the youngest ever Best Supporting Actor nominee) were all nominated for Academy Awards, with Hoffman and Streep winning their categories. 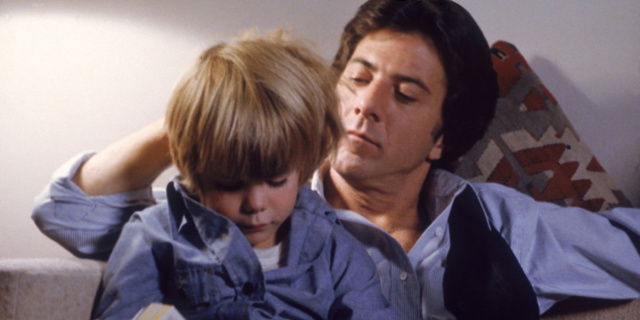 Kramer vs. Kramer is an acting showcase, and the three performances enhance each other in a self-nurturing cycle with Hoffman as the fulcrum. The scenes between Hoffman and Henry are the emotional core of the film, as Ted learns on-the-job how to be a dad, starting with a series of failures and ever so slowly discovering the deep bond that ties father to son. Hoffman portrays Ted as all energy, a man who never met a challenge that could not be overcome by working hard, staying on the move and talking excessively. Fatherhood requires different skills, and Ted will learn most of them the hard way. Just seven years old, Henry delivers a most memorable child performance, a boy whose most important human bond is severed when Joanna walks out the door. Overnight, Billy has to learn what it means to be cared for by a distracted dad, while mourning the absence of his mother. Benton extracts out of Henry a raw, touching performance, capturing both the trauma and resilience of a child going through a life-altering transition. Benefiting from the misfortune of Kate Jackson, who had to turn down the role, Meryl Streep launched her stardom as Joanna. She bookends the film, departing to start and re-emerging at the end, and in both cases her actions impose catastrophic consequences on the lives of Ted and Billy. Streep's performance is the most delicate of glass, Joanna a woman so close to shattering at the beginning of the film that she abandons the one meaningful relationship in her life, and much more vulnerable than she believes 15 months later when she re-enters the life of her family. 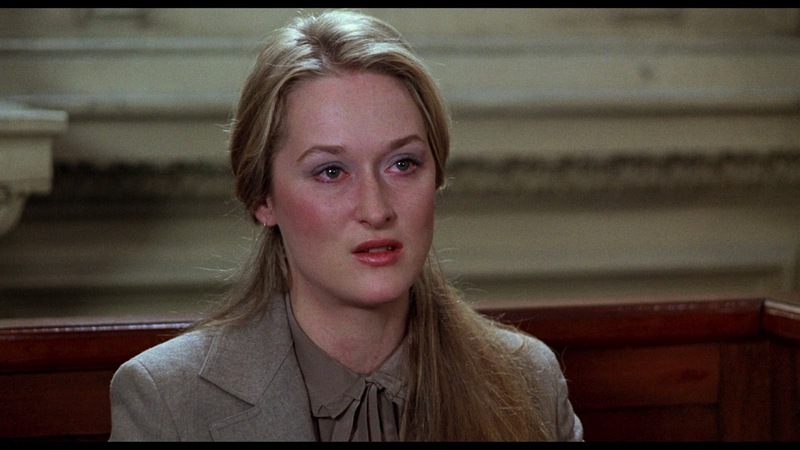 Streep's eyes search for meaning in a life gone sideways, and reveal gnawing self-doubt as she judges herself even more harshly than those whose expectations she has destroyed. 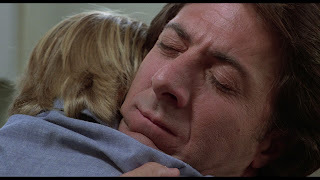 Kramer vs. Kramer is a film about conflict within a single, small family, with stellar performances highlighting the difficult, often painful choices and sacrifices that universally challenge the parenting task.